Sam Pasmann with his early fusion prototype. Sam was born and raised in Salt Lake City, Utah. He wanted to attend a strong out-of-state engineering program at a smaller school where he could be a larger part of a community and get to know all his professors. After touring UP’s campus, he knew where he wanted to be. 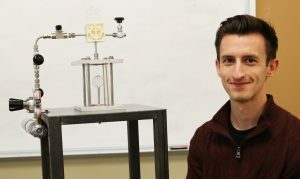 Sam is researching nuclear fusion, harnessing the fusion of atoms to create a lasting alternative energy source that has the potential to solve the world’s energy crisis. Research using fusion for the production of electricity has been pursued for over 60 years. Fusion reactors can run on seawater. This topic so interested Sam that he became involved in an undergraduate research project with a professor in engineering prior to enrolling in the Grand Challenges Program. Alexis Molina comes from Mililani, Hawai’i on the island of O’ahu. “With the current technology, we are only harvesting approximately one percent of the sun’s energy. With the energy we consume in daily life, we obviously consume more than that one percent. 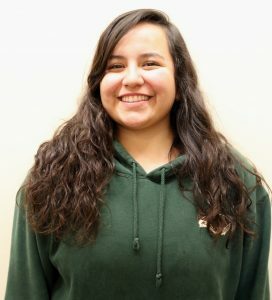 In addition, mind-boggling theories like the implication of Dyson spheres quickly piqued my interest as well.” Alexis wants to accelerate her learning in renewable energy, specifically solar energy because of its future benefits, and its applicability in quotidian interactions with and without technology. She wants to work on the accessibility and optimization of solar energy systems. Her dream is to work for NASA. Graham Foster grew up in Helena, Montana. Graham is focusing on making solar energy more economically feasible. Renewable energy will play a big role in economies and infrastructure in the next few decades. Graham wanted to tackle a project that was challenging and rewarding, and would change the world in a positive way. Graham wants to participate in the future of solar energy technology. Graham because involved with the Grand Challenges Program because of the opportunities it provides to explore an important issue in detail, and to gain experience that will be valuable to his career as an engineer. Graham is studying abroad during Spring Semester 2018. The concept of expanding his world view, examining problems like improving solar power, and applying sound solutions to complex problems will enable him to approach future challenges with a well-rounded perspective. Dr. Shazib Vijlee, Graham’s first-year engineering professor and advisor, was a good resource, he said. 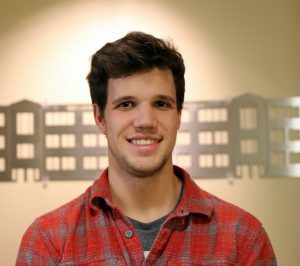 Graham entered the Shiley School as a civil engineering major, but exploring the different disciplines with Dr. Vijlee helped him realize that he was more interested in product design and development, and that mechanical engineering was the best major for him. Graham’s favorite moment at UP took place last year when the sun came out in the spring for the last two weeks of the semester. It doesn’t rain that much in Montana, he said. We are pleased to be featuring our new students in the Grand Challenge program. 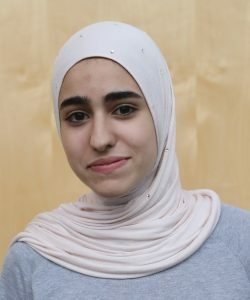 Lujain Al Ali is our first student feature. “I am an international student; I grew up in Kuwait. I chose to attend the University of Portland because it is a small school with small classes, and I can easily connect with my peers and professors. It has a strong engineering program and a beautiful campus. Also, my dad is a UP alumni from the 90’s, and my older brother also attends UP. What made me most excited about the Grand Challenges program was that I could chose a modern-day challenge and come up with ways to improve, advance and develop that particular challenge during my academic career at UP. I also liked how part of the challenge encourages us to examine the challenge through a different lens — historical, ethical or even artistic – allowing me to address my challenge in a different way and at the same time get out of my comfort zone. Providing access to clean water is the challenge I chose, for two reasons. The ﬁrst — I am majoring in civil engineering, and water resources is a big part of civil engineering. Second, although clean water is easy to access in many places around the world, in some countries it is very difficult to get access to clean water. Water is a fundamental necessity. Millions of people die each year from diseases they catch from dirty water. My goal for this project is to find a solution to a real-world problem, to make a difference in our world, to be involved in the community though services and programs, to look at issues and problems through diverse perspectives, including international perspectives, to learn more about my challenge through research, and, ﬁnally to beneﬁt from interdisciplinary courses and work. I am excited about all I learn in my next couple of years of school here at UP. I want to be prepared to apply all that knowledge to the real world when I go back home knowing that my country is going through a stage of structural development and advancement, and knowing that I would like to focus on the infrastructural branch of civil engineering. My first day of school is my favorite moment from my time at UP. Everyone was so kind and welcoming, and I felt that I could ﬁt in with everybody even though I was new to the US. The ﬁrst couple of months living away from home were hard for me because of how different it is in the U.S. What surprised me the most about my UP journey was how open minded everybody was, and how so many resources were available to students. The opinions expressed in this publication are those of the authors. They do not necessarily reflect the opinions of the UP Shiley School of Engineering or the University of Portland. A post from the UP media about joining this excellent program. The University of Portland’s Shiley School of Engineering has been accepted into the National Academy of Engineering (NAE) Grand Challenge Scholars Program, a combined curricular and extra-curricular program with five components that are designed to prepare students to be the generation that solves the grand challenges facing society in this century, according to Sharon Jones, Shiley dean of engineering.